Lush Times: Skullduggery is an eerie but magical celebration for your bathtub. We used brightening and refreshing lime and neroli for the fragrance and olibanum (also known as frankincense resinoid) to help that citrusy smell stay on your skin until the witching hour and beyond. Lime oil is a popular ingredient in remedies to combat congested skin, cellulite or simply to wake you up! We use expensive neroli oil as it is one of the few essential oils to be scientifically proven to increase serotonin production in the brain – Arriba! Olibanum resinoid, otherwise known as frankincense, has a woody, slightly fruity aroma and covers the skin with a thin, protective film, softening the skin. It is extremely effective on sore, cracked, de-hydrated skin. 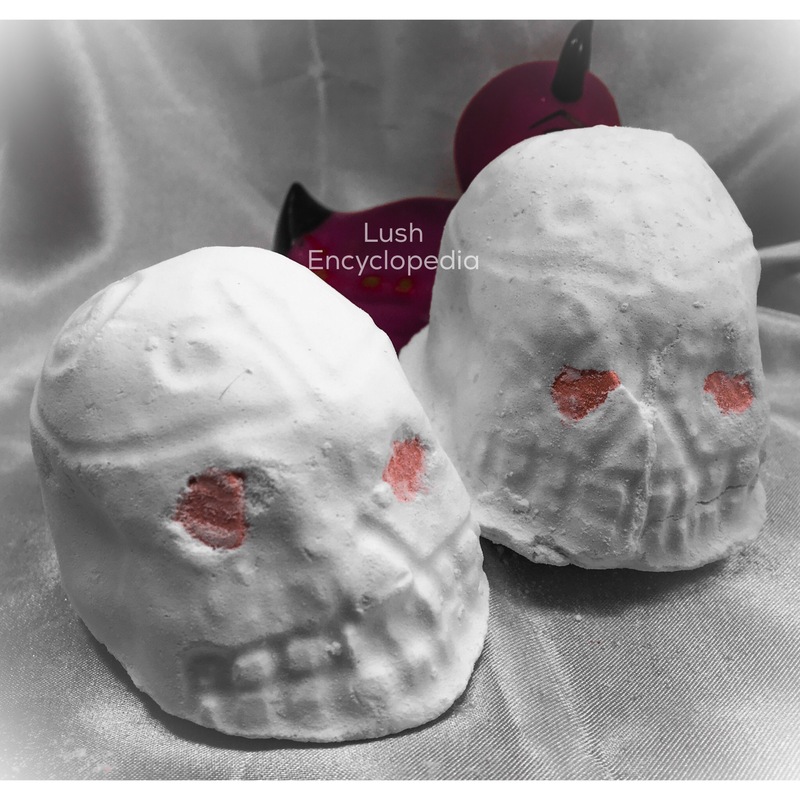 Decorated skulls (or Calaveras) are iconic in Day of the Dead imagery – so this year, we took the concept of Jack’s Bath Bomb last year and gave it a slightly spookier look. This ballistic is limited edition so get it while you can. This doesn’t make any colors in the bath, but it is cute. 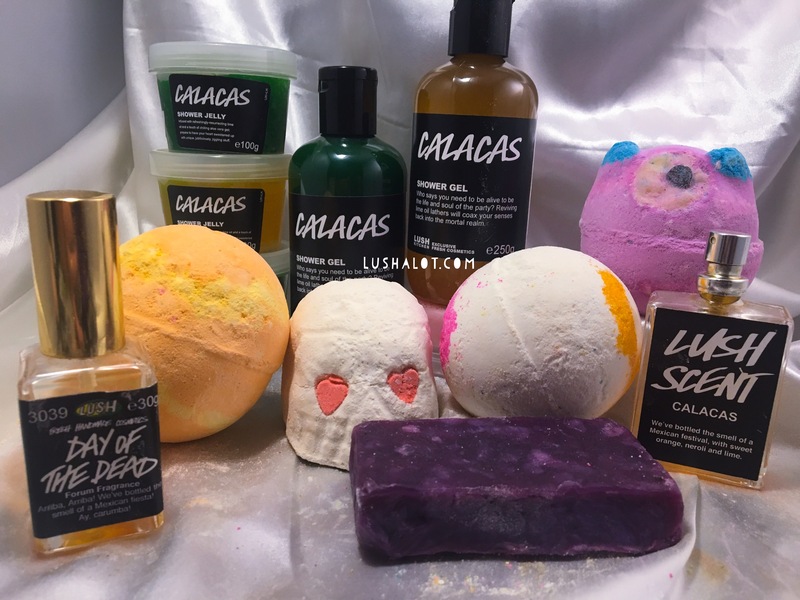 Posted on November 20, 2016 by Lushalot	• This entry was posted in Bath Bombs, Halloween Past, Lush Kitchen menus and product demos and tagged calacas, day of the dead, dia de los muertos, frankincense, Lime oil, lush calacas, lush calacas scent family, lush kitchen skullduggery, lush skull bath bomb, lush skullduggery, nerolo, skulls. Bookmark the permalink.